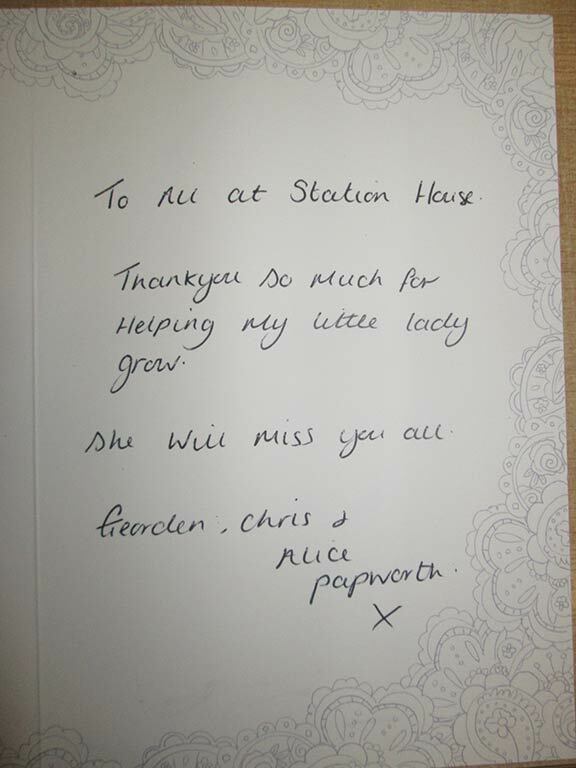 A personal testimonial thank you card from Alice Papworth. We’re so confident you will love us, we give you your 1st session FREE on any of our childcare services. Copyright © 2019 Station House Community Association. All rights reserved.